Welcome to the Zombiegerm website. We do hope you like the book and if you have any questions please do not hesitate to contact us. 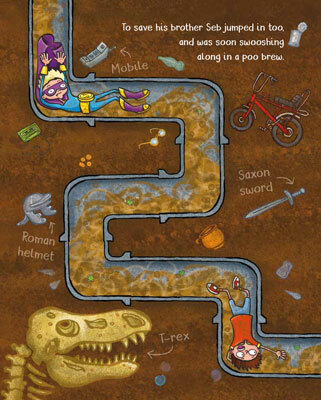 The book is fun and disgusting, however, it does also deliver a serious message about keeping clean. The book is now available to purchase from our publisher Highfield Products. Dirt fanatic Pands accidentally unleashes a swarm of disgusting zombiegerms and it is up to his hygiene hero brother Seb to stop the slimy monsters from turning Earth into a sea of slime and vomit - but will he be able to stop the zombiegerms and save his brother in time? Highfield has spent the last 15 years publishing world-leading educational books, specialising in food safety. 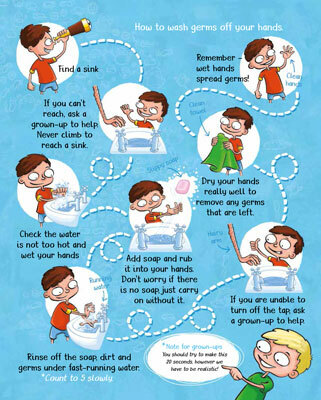 It has always been challenging delivering handwashing messages to the young in a fun and interactive way. Since becoming a father and reading children's books every night, it has become clear to author Chris Sprenger that one of the best ways to engage with kids is through fun and disgusting stories. Chris and his wife Becky spent years observing their boys and jotting down notes on how they interacted, and when Chris had enough evidence he decided it was time to turn their experience into a children's book. Linking with writer Ben Major, who has a zombie obsession, and illustrator Chris Woffenden, ZombieGerm® was created. 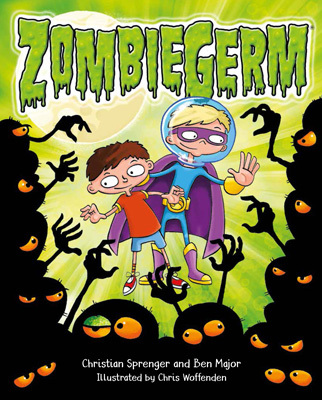 ZombieGerm® provides a great story for children and grown-ups, while giving a subtle message that being clean is a pretty good idea. Copyright © 2016 Highfield Awarding Body For Compliance Limited. All Rights Reserved. ZombieGerm® is a registered trademark of Highfield Awarding Body For Compliance Limited.